Lonnie joined the Chartered Financial Services team in July 2017. His responsibilities include writing new Property and Casualty business as well as providing excellent service to existing clients. 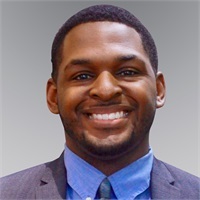 Lonnie was appointed the #1 MA by Liberty Mutual in 2018 and won his way to the company conference in Atlantis, Bahamas in 2019. Lonnie is currently #10 in the nation for Liberty Mutual. Lonnie graduated from Rutgers in 2012 earning his degree in Sociology. When he's not working, Lonnie likes to spend time with his wife and do stand up comedy. He has been a comedian for 5 years and can be seen at different locations around New Jersey. Lonnie and his wife, Karine welcomed their baby girl Aiva into the world October 2018 !